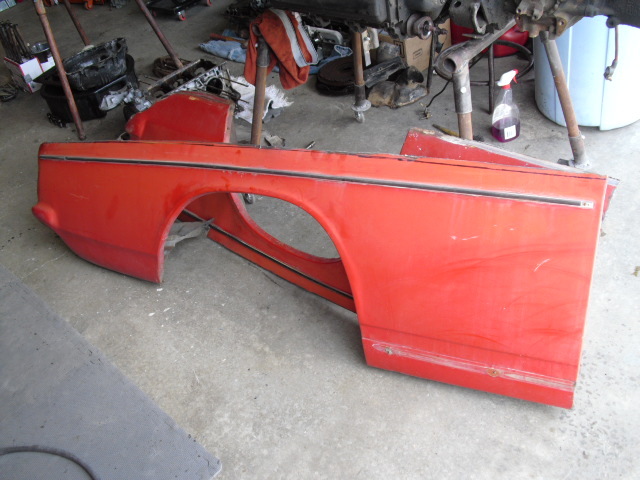 I'm looking for a full 1/4 panel for left side of a 66 convertible. My small patch panel keeps getting bigger. Also interested the lower half of the tail section. Who has what and what are costs with shipping to southeast PA just outside of Philadelphia. Edited 1 time(s). Last edit at 01/06/2019 01:33PM by MattNall. Sorry forgot to mention I'm looking for the left rear 1/4 panel. Is it cut above or below the body line? My panel the bondo goes over the body line. It appears to me that the trim strip seen in the photo would be directly on the body line. It also appears that the cut is about two inches above it. That's what I was thinking. But it's tough to see on my phone.